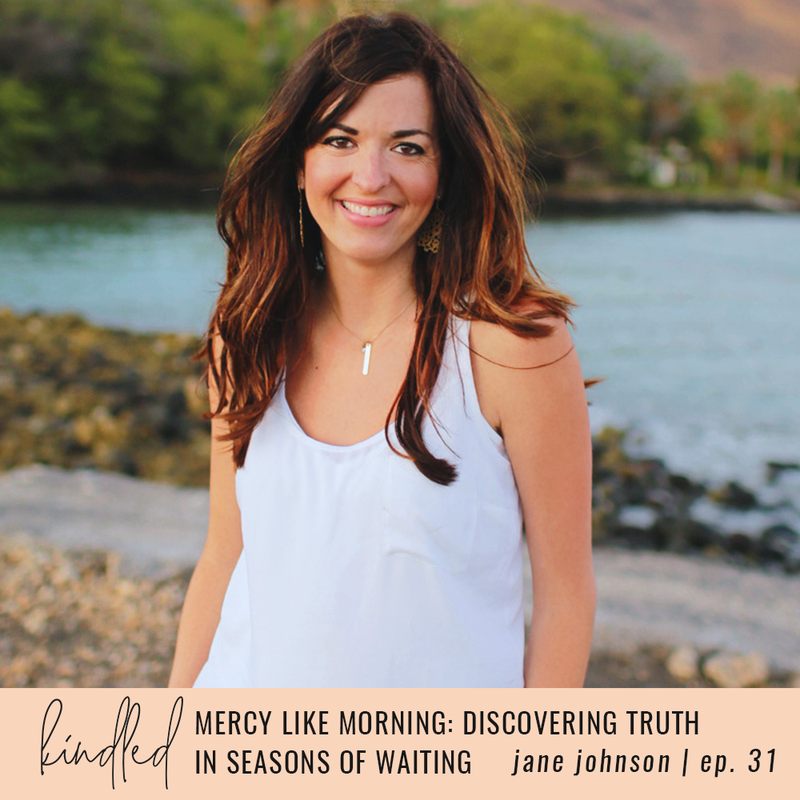 I had the absolute privilege of sitting down with Haley from Kindled Podcast recently to chat about our story and Mercy Like Morning and a little bit of creative entrepreneur talk thrown in for good measure. Funny story about it, though: this was my first ever podcast interview. I had never done one before, and I get very uncomfortable going into scenarios I am unfamiliar with. But I bought the microphone and tested the audio and had my headphones charged and ready and pushed through the anxiety of the unknown. It was a quick lesson for me in embracing the messy. And feeling comfortable in my own skin, even if it’s not perfectly put together. Because meeting strangers on the internet comes with a different kind of added pressure. I mean, you have to live up to the photographs that you post, right? But I learned very quickly that, with women of faith, none of that matters. Because when you get down deep into the heart of your testimony and the “look what God has done for us” glory-stories, everything else just sort of fades into the background. I’m so thankful that Haley took the time to hear our story and chat with me. You can click on the “play” button below to listen to the full interview, or find it on the Kindled Podcast website here. Mercy Like Morning comes out October 2nd!